"It makes me more than a little upset that Brian was writing thiscreative stuff with carnival sounds and spoken segments at the time, but instead we wound up with "Shortenin' Bread" (relative merits of that song aside)". I'm not as down on the album as you (and God knows I don't like disco Here Comes the Night), but I agree with this point entirely. The problem with Light Album: too many ok songs. My main gripe with "MIU" was there was no songwriiting by Carl or Dennis (I had the same gripe about the previous two albums). I had just gotten into the Beach Boys in '77, and was really impressed by Carl and Dennis' stuff on earlier albums, and "POB". My main gripe with "L.A." was there wasn't enough Brian! It was like the complete opposite of "MIU"...it's like "Brian's Back" meant "Dennis and Carl are gone! "...then, they were back for "L.A", but now Brian's MIA! BTW, Bruce has said that Brian doesn't sing on "Good Timin'". The vocal arrangement is Bruce's, and the vocals were recorded by just Carl, Mike, Al, and Bruce. Brian does play on the track, which was cut at Caribou in late '74. Presumably Dennis is on that, 'cause Guercio recalled that Dennis was the only one who could get Brian motivated enough to acutally do that track. I'm not entirely down on it. Like I said, there are some good songs... even a few classics! But Dennis and Carl's songs, as good as they are, are really solo/ duo performances in all but name. In a perfect world I wish we'd have gotten Bamboo instead, and that the band had waited for Brian to get out of the hospital and back on his feet before recording as a group again. One more thing I have to say about LA and then I'll shut my mouth, I promise! But I don't like the way Bruce recorded the vocals-- at all. On a technical level I guess what he did was impressive considering the amount of overdubbing, but nevertheless the voices sound completely homoginized to my ears. The perfect example is "Lady Lynda"-- on the Altbach/ Jardine version the Boys cut for the MIU album you can hear the voices of certain members distinguish themselves from the rest of the blend at particular moments. There's a warmth to those MIU vocals, whereas Bruce's production renders them cold and sterile. Apart from Mike and Al, whose backing parts are seperated, I can't determine who the hell is singing backgrounds on the LA version of "Lynda"-- it could be Richie Furay, Gary Beckley and Timothy B. Schmidt for all my ears can tell! Sorry for the rant, but it ties in to what Sheriff John Stone was just saying: Love You type songs + MIU type vocals would have been the equation for success. In that regard, the Light Album falls a bit short. L.A. Light was a weird era because Dennis was really heading downhill. Looking at him by 1979 was almost painful. Brian was in worse shape then ever, Carl was going through his problems. 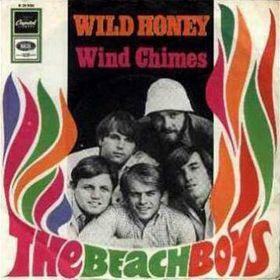 That said I think it is the last "adult" Beach Boys album. No cars, surfin, beaches, woodies, etc. There are some bad songs and the disco track is horrid, but Dennis' material (plus his vocal on Angel) was terrific and Good Timin is a great song. Mike and Carl's stuff is a let down, but Lady Lynda is a good song with a poor production. Too slick. That said it still is a creative track. I don't like playing it all the way through but to me Dennis' songs were the best "new" songs they released after 1973. RE: "Angel Come Home", I'm into the lead vocal but those "AAAEEEENGEL CAAAAM HAAAAOOOOMM" backing vocals sound totally wrong to me. If that's Bruce's fault, I can never completely forgive him. Those are NOT beach boys harmonies! Interestingly, that's one of the few songs on that album that Brian contributed vocals to. BTW...the backing vox are one of my favorites post Holland. Fave has to be Where I Belong. I respectfully disagree, MBE, at least in the case of Brian. Right around that time, everytime I would see Brian, he was getting thinner and thinner, looking better. He was wearing those expensive Adidas warm-up suits and clean sneakers. His hair was usually washed and combed, and his full(er) beard made him look cool. Brian was starting to play more bass and becoming slightly more animated on stage. Take a look at The Midnight Special footage from 1979, his arms and legs look downright skinny. He's playing bass, slapping hands with Wolfman Jack, smiling and dancing a little bit. That's why I was so disappointed at his absence from L.A. Light Album. I really thought Brian was making steady progress. Of course I was wrong. Now, if you're referring to Brian's mental condition when you say "worse shape", well, then you might have apoint, but outwardly, no. Sheriff I wiill tell you why I came to my conclusion about Brian during the sessions. You are correct that Brian rallied in 1979 but during the last six months of 78 he was in bad shape. I think he was in the hospital twice around this time and there is a film I have from the PM Magazine tv show filmed in 1978 where Carl and Brian are in very bad shape. Brian is bloated up to at least 270-280 and though he has laryngitis which makes him seem worse, he cannot focus at all on the interview. It's a sad film. After he got out of the hospital he looked pretty good through the fall of 79. It's funny because in the first few months of 1978 he is not too heavy yet. I think around the time he and Marilyn split there was a setback. The thing that got me about the whole LA affair was fact (now think about his in light of what we know about mental illness and drug addiction) that Brian was in the hospital for six weeks after almost ODing at Balboa Park in San Diego. He tells Marilyn that he wants a divorice while in the hospital. Then, upon being released., instead of finding a new palce to stay and working with a doctor to recover, he takes a plane alone back to LA, transfers to a private jet, is flown to Miami, and deposited at Criteria studios with the mission to "come up with some new tunes and produce our new LP." It's a wonder Brian didn't run out into the ocean screaming and yelling. You don't take a fragile soul like that and put him in a pressure cooker. It like taking an athlete that has been in the hospital for a very serious illness, releasing him, and then saying "Oh by the way, you are signed up for a 26 mile run next week and you are obligated to show up." I know. Those are my absolute favorite BG vox post-Holland. Angel Come Home is also on the list of favorite post Holland backups. I know they aren't from the same album...I was just listing what actually WAS my favorite, for those who might be curious! I think Brian on the released L.A. Light vocally did a bit on Good Timin (probably recorded in 74 or 76), Angel, Shortin' and that's it. Interesting theory on "Good Timin'"...have you heard an early mix with Brian's vocals? The mix from '74 that circulates just has Carl's lead in the verses, no other vocals. I think Brian may also have sung a little on "Baby Blue" and "Love Surrounds Me", which were partially recorded in Miami. For the other tunes, they were done back in California after the return from Florida, and he was hospitalized once again, which is probably why he's not on those tunes. Dennis' stuff could have Brian on it but I cannot pick him out. There are takes of Good Timin around with mostly just the backing vocals and music. I assume these were done before 78 but I really couldn't say for certain. Brian was not well at those sessions so I would guess he did little. OK, so this is resurrecting a long dead thread, but as I'm working on the gigs/sessions for 1978, it's germane. I think. Actually, if you drop the last 2, it's not that bad. "Looking Down the Coast" really should've been released. Agreed 100% about MIU's singing really saving the album. The songs, for the most part, are goofy as hell, but the singing really is stellar and just sounds and feels so good. Al and Mike sound fantastic on Pitter Patter and My Diane is my all-time favorite Dennis vocal. And a great song too. I play MIU often just to not think, zone out, and enjoy the great big peanut butter and jelly sandwich that is the vocals. "It Could Be Anything" escapes my memory...what was that? Also, Ed Carter did an interview with the BBFUN newletter around that time where he described something Brian had been working on down in Miami. He described it as "Pet Sounds"-like, with specially-tuned guitars and pianos that made it sound like a carnival, plus it had some Ray Bradbury-esque spoken word elements to it. When I checked this with Ed Roach on his message board, he agreed that the description fit the amazing stuff he remembers hearing down there from Brian. Does anyone have anymore info on what these "carnival ps" tracks sounded like? I am no expert, and i mean that, but could he be referring to 'Over the Waves' etc... from Adult Child? That was roughly around that time. Of course, i would love to be wrong and find out that there are yet more unreleased BBs tracks i haven't heard.